Finding a good DWI lawyer is always difficult. One way is to search on major search engines like Google or Bing to look for a good DWI lawyer. Another method can be an old fashioned way; you may want to ask your friends, families, and co-workers for a referral. Either way, finding a good DWI lawyer would be the most critical thing when you want to defend your DWI charge effectively. 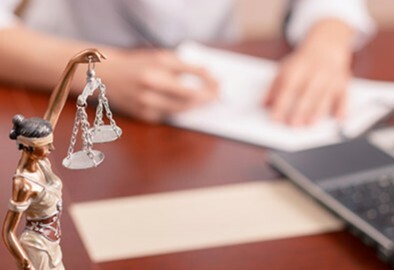 To assist the public in making such an important decision as selecting a DWI or criminal defense attorney in New Jersey, we offer a list of successful cases in defending our clients from DWI, DUI, motor vehicle, and criminal charges. We believe proven results tell you more than anything. Here you can see two (2) successful cases. 1) Criminal Case in Jersey City, NJ. Client was charged with multiple criminal charges including Resisting Arrest, Possession of a crack pipe, Drug Distribution and Conspiracy. This matter was first in the Superior Court in Hudson County. To make the case more complex, Client was also a non-U.S. citizen who was staying in America on a work visa. If the client were convicted for these crimes, his immigration status would have been jeopardized. So defending these criminal charges was critical to protect the Client’s future life in America. After I was retained as a criminal attorney in Jersey City and fought this case for more than 6 months, the case was remanded to Jersey City Municipal Court. After numerous hearings and court appearances, all criminal charges were dismissed. The Client’s immigration status was protected and Client was able to continue to work in New Jersey. Client stated that finding a good criminal defense lawyer was the most important thing and that Client was extremely grateful to me. 2) A DUI charge dismissed against a repeat offender defended by Jersey City DWI lawyer Bartholomew Baffuto. I would like to share another successful story in Jersey City. Client was a repeat DUI offender charged with a DUI offense in Jersey City, NJ. The charge was quite old and certain records could not be found due to its age. After being retained, I demanded all records necessary to defend the case. I was successful in having the DUI NJ charge against this repeat offender dismissed. You can see how important it is to find a good DWI and criminal defense lawyer in New Jersey when you want to defend your case to the fullest. We have a satellite office in Jersey City, near Exchange Place at PATH station. Please call to make an appointment for consultation. 101 Hudson St., Jersey City, NJ 07302. THIS WEBSITE DOES NOT OFFER LEGAL ADVICE UPON WHICH YOU CAN RELY IN ANY ACTUAL CASE. HIRE AN ATTORNEY.